Living Body is the new project from Leeds-based Chicagoan Jeff T. Smith (formerly, Juffage) featuring longtime collaborators Katie Harkin (Harkin, Sky Larkin, Wild Beasts, Sleater-Kinney) and Tom Evans (Vessels). 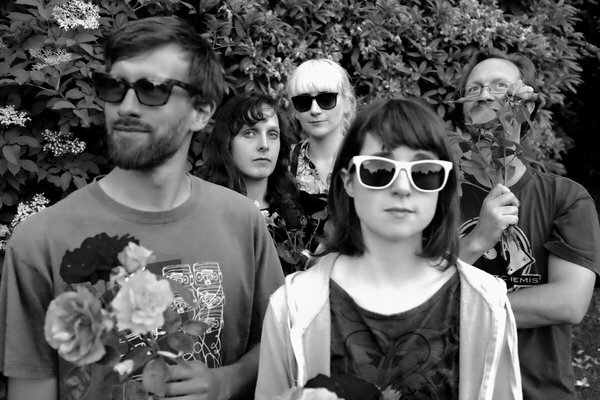 Rising from the ashes of their acclaimed “Sonic Cauldron” concert at Left Bank Leeds in 2013, the group is now augmented by new and additional live members Alice Rowan (Mayshe-Mayshe) & Sarah Statham (Esper Scout). Expanding on the need for music to bring joy into the lives of others, and Smith’s fascination with the contortion of the pop song into a uniquely imaginative and immediate form, Living Body aims to exist in a world of skin and information overload in 2016.